I confess that I’ve spent a good portion of my life as a goo-hoard. (If you’re not too sure what that means check out this video by Jenna Marbles.) My drawers were filled with too many lotions, creams, lip balms, face products etc. Until one day, I convinced myself that most of my products, if not all, contained ingredients that were toxic to my skin so I decided to toss them out on an impulse. My original goal was to take a natural, holistic approach to my beauty products however it was a lot harder than I thought. But through trial and error I eventually found a few products/treatments that I love. The body brush is easily the most underused/unknown tool. 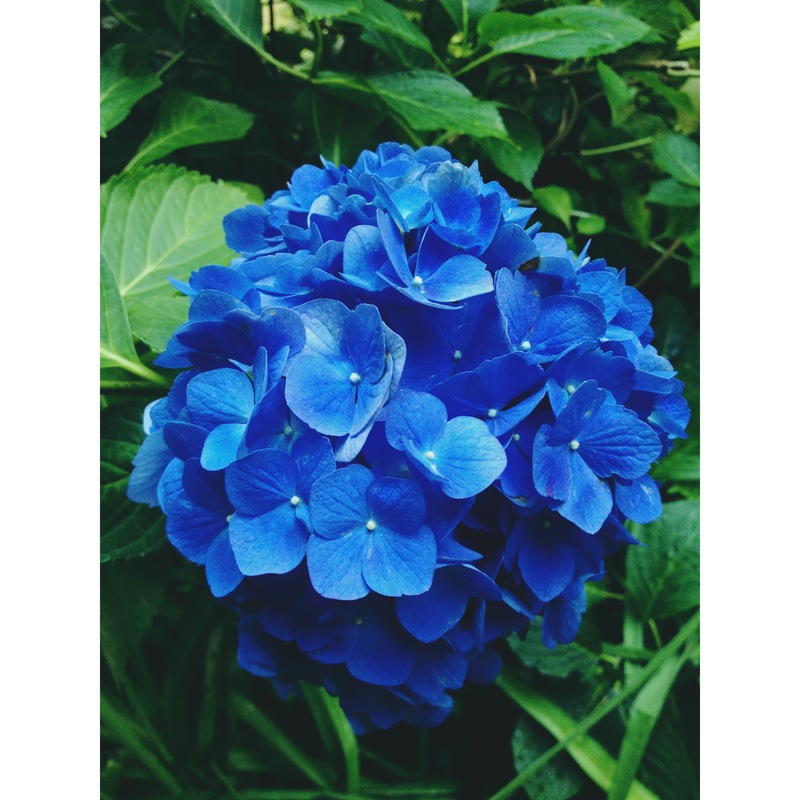 This ancient technique has many amazing benefits such as improving skin texture by removing dead skin cells, increasing circulation to the skin (allowing your lymphathic system to detox), stimulating your nervous system, and reducing the appearance of cellulite. I bought my brush from the body shop for around $15. The technique is to softly brush your dry skin; it is recommend that you do it first thing in the morning before your shower. Experts suggest that you move slowly, working from your feet, up your legs and towards your heart. Be careful not to go over any cuts, bruises, or sensitive areas. 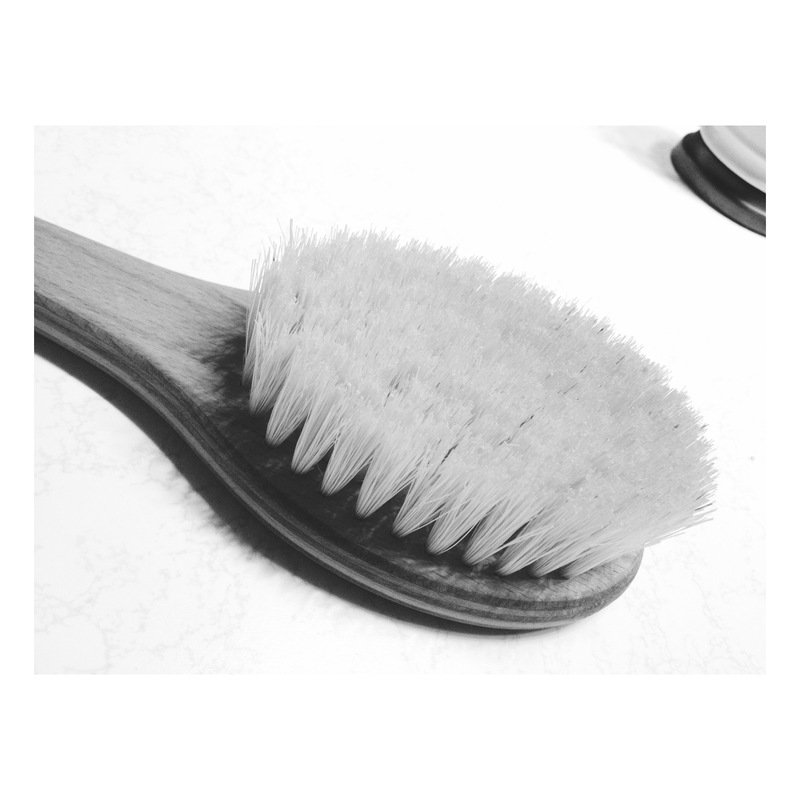 Although dry brushing is not exactly as soft as a pillow, the exfoliating sensation somehow becomes addicting if you incorporate it into your morning routine. For super soft skin, you can follow up with a moisturizer. With persistant use on my sensitive skin, I noticed an increase in skin elasticity, decrease of cellulite and a disapearance of my eczema. 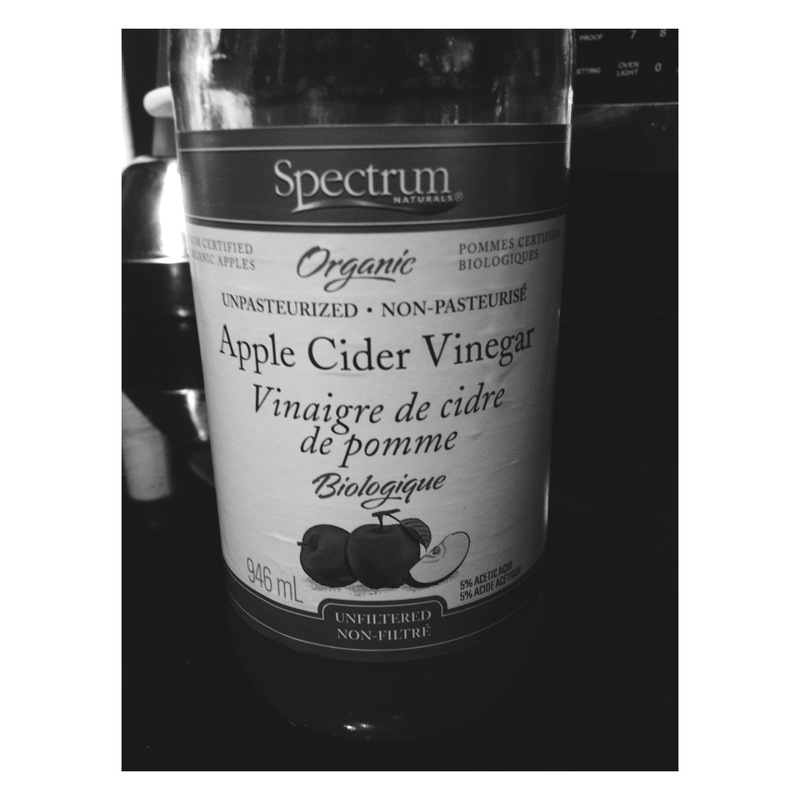 Apple Cider Vinegar is one of my absolute favourite products to use for my hair. I use it as a rinse after shampoo, in place of conditioner. First, you’ll have to dilute the vinegar with water. I use equal parts water to vinegar, but if that is too strong you could try increasing the water. Pour the rinse over your hair and allow it to sink in but make sure you rinse it thoroughly! ACV smooths the hair cuticle and balances the pH level making your hair extremely soft and shiny! ACV is all natural, made from apples, as opposed to products that are filled with many complicated ingredients. I’ve personally used organic ACV and the non-organic king and noticed a few pleasing differences with the organic. For best results, use an ACV rinse no more than twice a week or whenever you want to increase the shine in your hair. When I threw out all my body lotions I was convinced that I could moisturize with extra virgin coconut oil all the time with no problem. At first I really enjoyed how well the coconut oil moisturized my skin but after a week I noticed my skin was more dry than anything! Not only that, but the smell of spoiled/rotten coconuts lingered on my clothing and sheets. This was just my personal outcome but I’ve met people who have had the opposite experience. On the flip side, I absolutely enjoy coconut oil as a hair mask. It’s solid consistency is much easier to spread through my hair and it washes out with much less trouble than extra virgin olive oil. 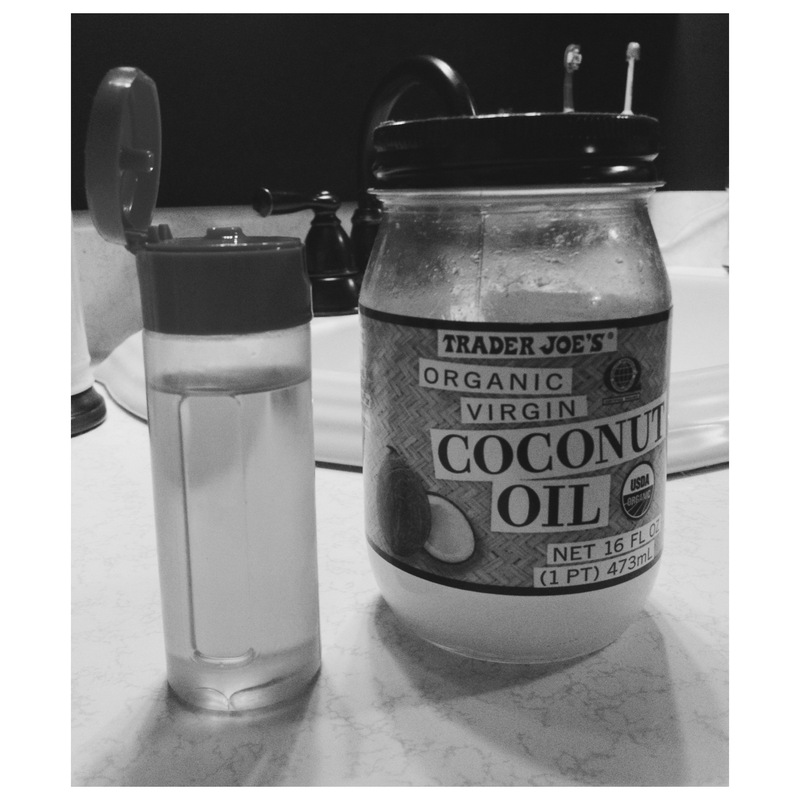 I apply the coconut oil to my ends and try to keep clear of my scalp, only to avoid those hard to wash places. For best results, leave the coconut oil in your hair for a minimum of 30 minutes. Previously, I used extra virgin olive oil as a hair mask but I would opt for coconut oil in my hair instead. For my skin however, I love to add EVOO to my body lotion. Or apply it directly to skin after dry brushing and a shower! It’s bonuses include a strong source of vitamin E and A. 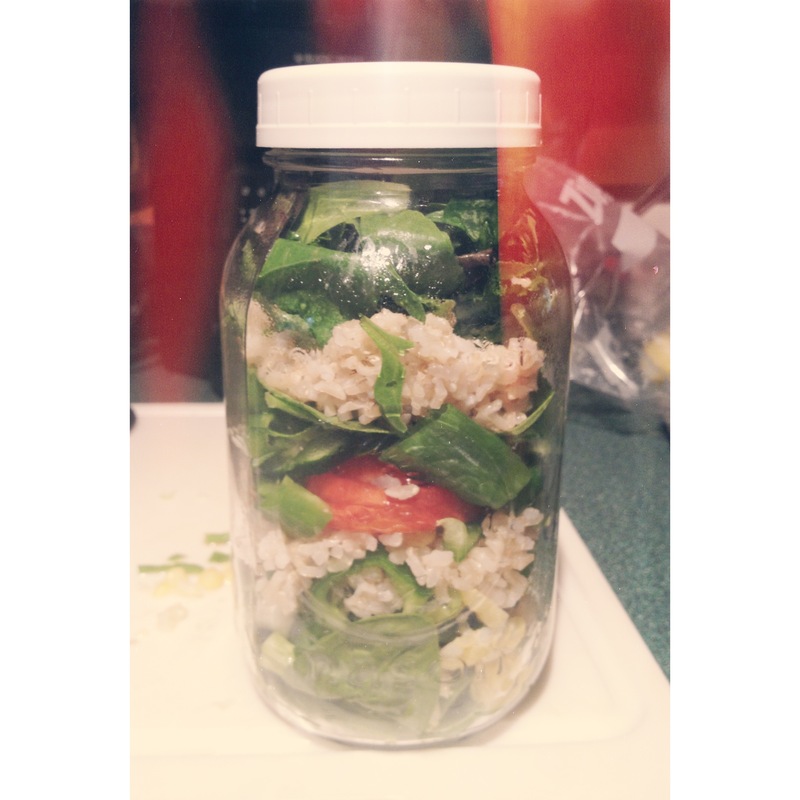 Is Fitspiration the new Thinspiration? Thinspiration provides images of women with “thin” figures. The purpose is to motivate women to become thin; the consequence of this however is often disordered eating, which is why social networks like Instagram have blocked tags such as #thinspo, etc. But could Thinspo’s new counterpart Fitspo be just as dangerous and damaging to women’s health? 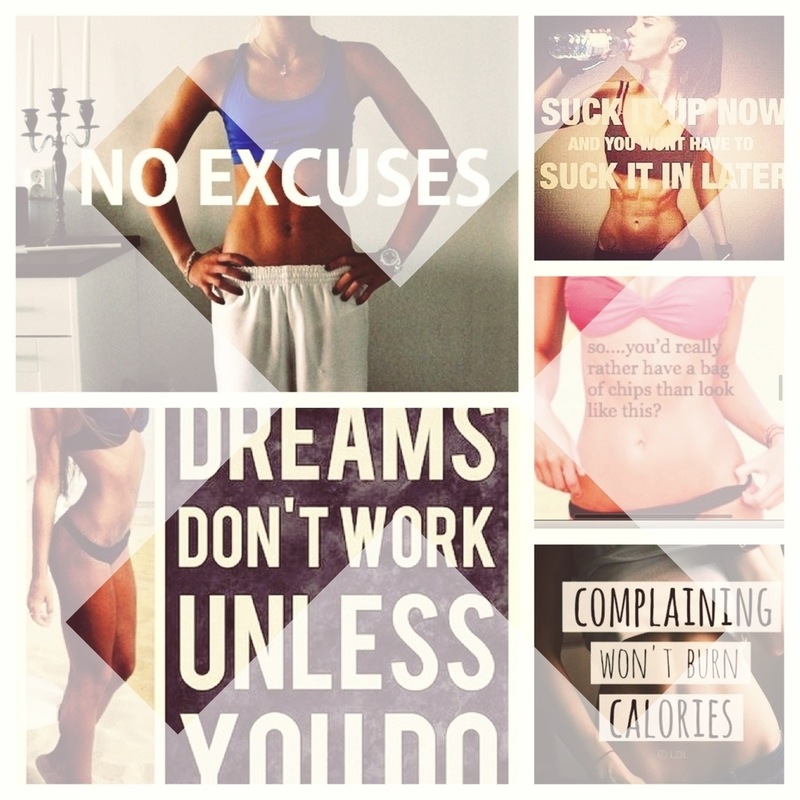 There is no doubt fitspo is paved with good intentions. Women with fit bodies, flat stomachs, six-pack abs, well-shaped butts and arms are seen in images often with a catch phrase such as “strong is the new skinny” or “Complaining won’t burn calories”. And I will be the first to admit that I spent countless nights looking at this “fitspiration”, thinking that if I only worked a little harder in the gym I would have the perfect body, but was I really inspired? I am a huge advocate for clean eating and exercising. However when it comes to women’s body image, I believe every woman should feel great in her own skin as long as she is healthy. I pass no judgment to my friends, and those I don’t know, who are followers of fitspo and I admire the dedication and passion it takes to build a fit physique. 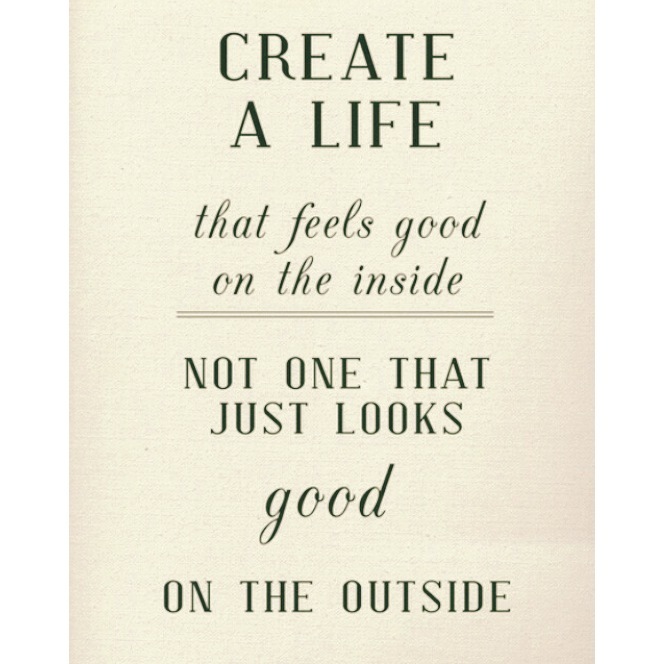 That being said, a person should not feel unhappy about their appearance because they don’t lift weights, practise yoga, or go for runs every week. A part of me recognized that I wasn’t being inspired, in fact I realized I was only fixated on what I believed to be my flaws and became extremely critical of my body. It was the shame I felt that got me into the gym everyday, and I am confident that others have the same reaction as they go through their long feed of “fitspiration”. How have we let images that promote low self-esteem be confused with inspiration? Although fitspo is suppose to be conducive to good health, all it has become is a hub for women to compare their bodies. It creates a new standard of what they believe they should look like to be happy, as if magazines, movies and television weren’t enough. Images of anorexic women can undoubtedly be defined as unhealthy; but it’s my opinion that constantly comparing your body to any shape or size negatively affects your self-esteem. The only standard any person should hold for their body is healthy and happy. Women need to properly educate themselves on nutrition and exercise to make decisions based what is best for their personal health and not base their well-being by a series of images we call “fitspiration”. So, where do I find my fitness inspiration now? My parents. Between my dad waking up before 5 A.M. to get in his workout (-word on the street is that he is back to the weight of his football playing years) and my mom’s holistic approach to controlling her chronic pain, they both show serious commitment to their health. Professional bodybuilders. Angelica Kathleen, Bella Falconi, Karina Baymiller, Terica Messmer to name a few. 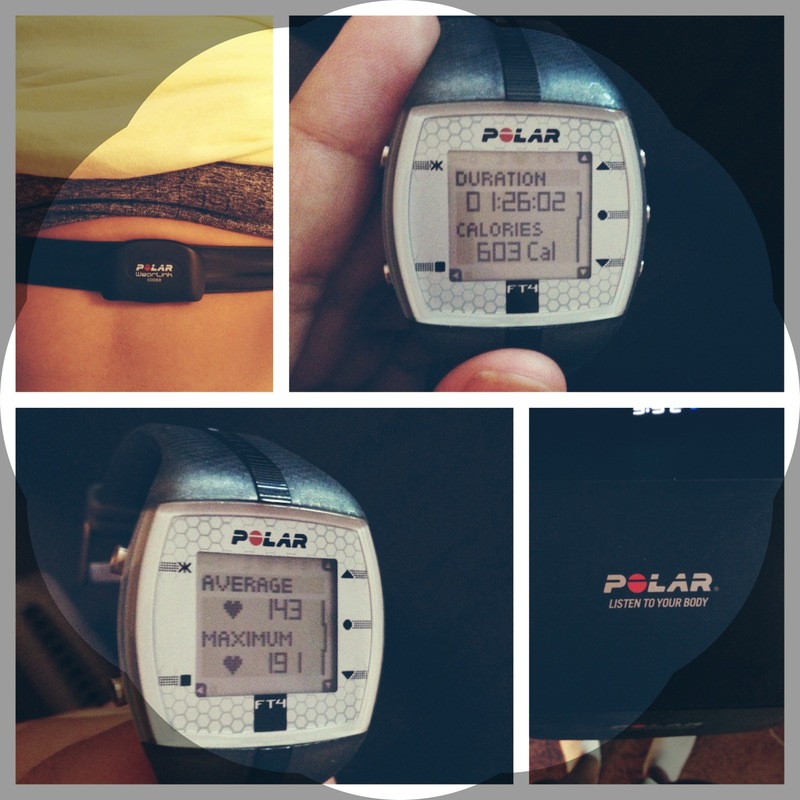 They all show extreme dedication and diligence towards their fitness goals. And I enjoy watching their journeys unfold. Most importantly, myself. 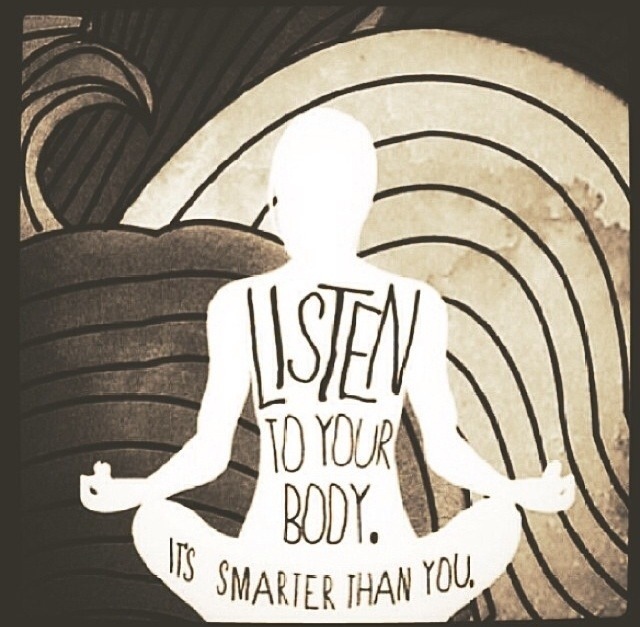 Practising yoga has helped me to remember how strong, capable and beautiful my body is. I remind myself constantly that I go to the gym not only to benefit my health but because I thoroughly enjoy it. I set goals for myself, and I look back at my accomplishments with pride. Our bodies are continuously losing water everyday through sweating and other bodily functions. It is even more important during the summer months to probably hydrate ourselves in order to restore the water we are losing naturally; especially if you are engaging in physical activities. The amount fluid needed to keep your body hydrated varies from person to person. 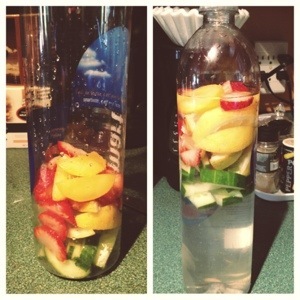 Try an infused water as a great alternative to plain water, vitamin waters or juices. Below I combined lemon, cucumber, strawberries and plums. After letting it sit for a few minutes it is ready to drink. Check out this article from MindBodyGreen to learn about the benefits of lemon water. 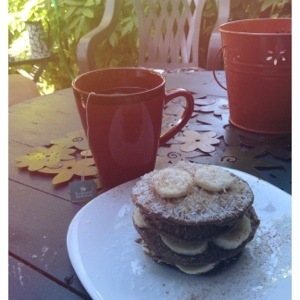 Fueling up for yoga this morning on the deck. Chocolate & banana protein pancakes and spearmint tea. 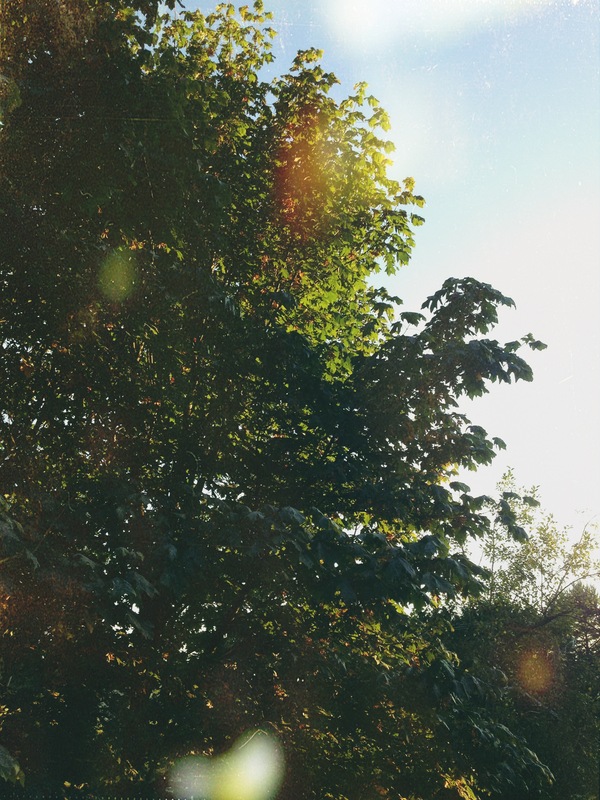 Pranayama in the fresh oxygen before the hot yoga studio.